Harvey Weinstein seems to be mentioned at almost every award ceremony. He is Co-Chairman of The Weinstein Company and has produced such hits as Vicky Christina Barcelona, The Road, Inglorious Basterds, and The King’s Speech. Before forming TWC, he founded Miramax (named after his mother Miriam and his father, Max) in 1979 and produced The Aviator, Finding Neverland, Chicago, Gangs of New York, In the Bedroom, Chocolat, The Cider House Rules, Shakespeare In Love, Life Is Beautiful (La Vita É Bella), Good Will Hunting, The English Patient, Il Postino (The Postman), Pulp Fiction, The Piano, The Crying Game, and My Left Foot. It seems Weinstein IS the King Midas of Hollywood: everything he touches turns to gold. Click here to see a list of his upcoming films. JJ Abrams is not only a well known producer, but director, writer, and composer. His talents as producer extend from the movies to television series co-creating Felicity, Alias, Lost, and Fringe. He is currently working on Star Wars: episode VII, Star Trek 3, and Mission: Impossible 5. He got his first taste of the industry when he visited Universal studios at age 8 with his grandfather. From there he started making his own amateur videos and wrote his first feature-length screenplay in 1990, Taking Care of Business. Broderick Johnson is the third African American to win an Oscar as producer. His film, The Blind Side launched his career although he did produce such films as The Book of Eli, The Sisterhood of the Traveling Pants 1 & 2, and P.S. I Love You. The job of a producer is not easy, to say the least. There is a lot of preparation and know-how needed besides financial backing to a film. One might say that it does require talent to see what is needed to make a film a success. It does not happen over night, but through hard work can be quite successful. 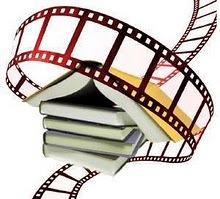 From your research are producers responsible for discovering material and getting the film rights etc….? I really like the scope and depth of your article LB. Looking at the backgrounds of many of the individuals on your list help us recognize the producer as a key player in film development. I like your emphasis on the positive, despite the wide talent pool producers tend to originate from; could you describe what detrimental environmental factors, personal characteristics, or mindsets tend to doom the well-meaning producer. For instance, though there are many kinds, Director’s tend to benefit from having some prior literary appreciation. With production content that is culturally intimate, broadly historical, sociologically complex, and frequently wide-ranging in terms of genre and content; I believe it’s hard to figure out how the Weinstein’s have been so consistently successful. What characteristics would you claim are the top three strengths necessary for anyone seeking to be a successful producer? Do you think individuals stand a chance of being successful in Hollywood without the various forms of family support and relationships apparent in most the individuals or groups specified in your article? I’m sure we wanted to we could find at least a few critical articles railing against the sins of nepotism in Hollywood (if we wanted to). What would you describe as the best components of healthy collaborative or mutually supportive relationships in Hollywood?